There are quite many unique non-player characters living in the land of Hryule in Breath of the Wild. From villages, to stables, to roads dotting the countryside, Link always has someone new to meet. With so many NPC’s occupying the world map, some fans were expecting to see a familiar face or two in the game’s cast, perhaps as special nods by the developers. 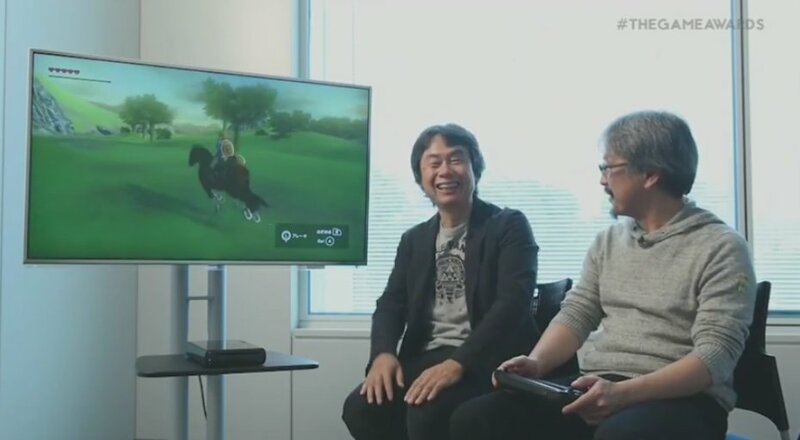 The jury’s still out on the current NPC’s of Breath of the Wild, but developers recently revealed that some longtime Zelda producers were in fact used as test NPC’s during the game’s development. “Slate: Now, there’s a character in the game who isn’t a monster himself. His name is Kilton. But he apparently really, really loves monsters, and even will sell monster parts and some other weird items. He’s such a unique character that I feel there has to be a very unique story about how he was created. Fujibayashi: When we were thinking of Kilton… So actually, the planner that was designing him needed someone to sell unique items, so apparently it was kind of based on that planner. I think the designer probably made a sketch of the planner, and then that’s how maybe perhaps it got to become Kilton. Slate: That’s great. I guess if you’re on the team, you have to be careful you don’t end up in the game yourself. Fujibayashi: Actually, when we were thinking of designing NPC’s, we had models kind of after Aonuma-san and Miyamoto-san initially as townspeople. And we just had a bunch of Miyamoto-san’s everywhere. I would have loved to see that build of the game. Are there any NPC’s in Breath of the Wild that you think are based on real people? Share your thoughts in the comments below.